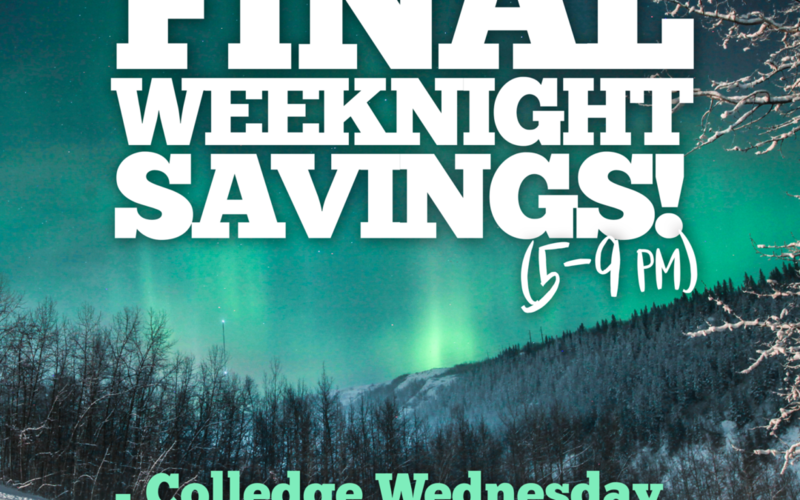 LAST CHANCE OF THE SEASON TO SKI THIS WEDNESDAY, THURSDAY, FRIDAY AND TAKE ADVANTAGE OF OUR WEEKNIGHT SAVINGS! 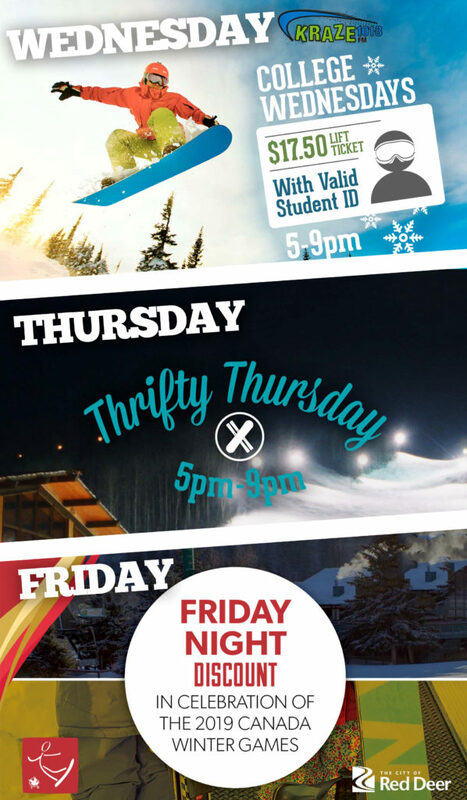 Enjoy night skiing at its best on Thrifty Thursday! 10% discount on tickets & rentals In celebration of the 2019 Canada Winter Games being held in Central Alberta!